Vietnam is a beautiful country that has had its reputation and geography tarnished by the war. But forty years after the war, Vietnam is starting to gain momentum as a tourist economy. What draws the tourists to Vietnam is its beautiful white beaches, serene pagodas and the gentle paddy fields. These are the sights that await you in Vietnam, once you figure out when to visit Vietnam to make the most out of your trip! The best time to visit Vietnam depends on what region you want to visit, as there is varied amount of rainfall and sunshine throughout the year. However, the best season, relatively, is between December – April. 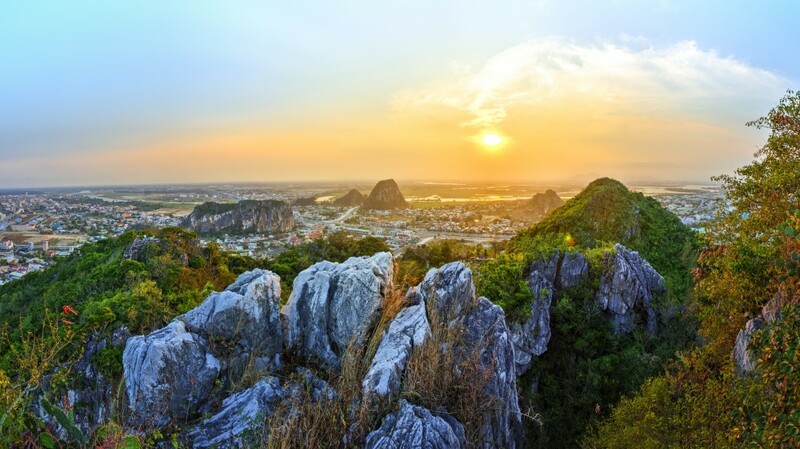 In southern Vietnam, the best season to visit is between December – April, for the weather is dry and warm. If you want to visit Central Vietnam, the best time for you to travel would be February – May, when it’s not too hot, and there is little rain. The best time to visit Vietnam in the north is between October – December, for the weather is ideal! Vietnam is a small country, but one with an extremely varied geography. 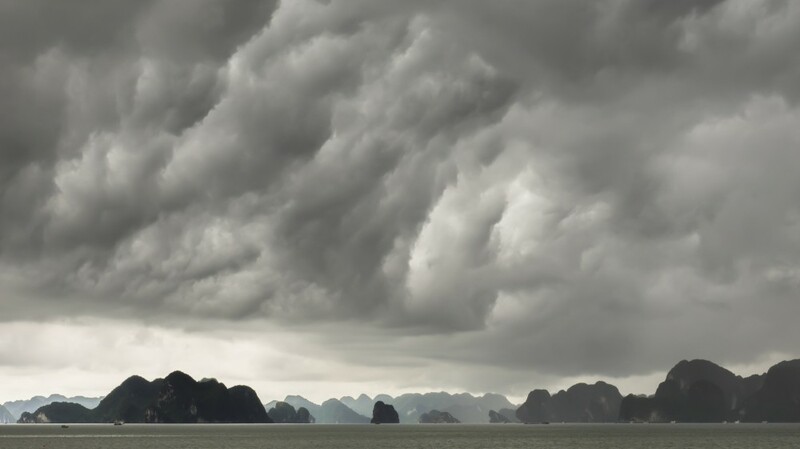 The weather in Vietnam can be different, depending on which part of the country you are in. The high season in Vietnam is between July – August, when there are holidays around the world, but the weather will be hot and sweltering all around the country, so it is not the ideal period to travel. Between December and March, the weather is rather pleasant throughout the country, except for the northern parts, where it will be quite cold. There is very little rainfall during this period, so this is when to visit Vietnam if you don’t want to put up with too much rain. The low season, popularly, is between April – June, and September – November. However, it is also the best time to visit Vietnam if you want to travel around the entire country, without missing a single region. You just have to be careful about the typhoons that can hit the north and central parts of the country! This is the driest season in Vietnam. Central Vietnam might experience some rainfall, but the rest of the country will be quite warm and dry. Towards the north of the country, the weather starts becoming cold, especially by January. December is high tourist season due to the holiday, so it is recommended that you book your accommodation in advance if you’re traveling during the month. Highlights: This is when to visit Vietnam for the beaches down south. Phu Quoc is amazing during this season, as are Mui Ne, Nha trang and Con Dao. Towards the end of the season, you can also head to Hoi An, and Ha Long Bay. The biggest event happening during this season is the TET, or the Vietnmaese New Year, which is celebrated for a week in February, with some of the best food being served! May and June are when the weather starts getting hot, but the rainfall also starts in certain areas of the country, especially in the north and south of the country. There is a small possibility of typhoons hitting these areas, so you should keep a look out on the weather guide. However, the weather in Hanoi, Ha Long, and central Vietnam, the weather will be warm and dry. 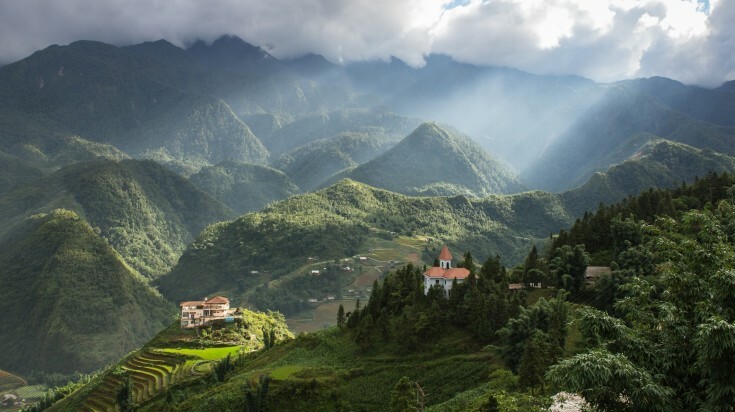 Highlights: Even though this season is rather mixed in terms of weather conditions, it is one of the best times to visit all parts of Vietnam (you might get caught in a few showers here and there, though). This is a great time to travel to Hanoi, Danang, Nha Trang, Quy Nhon and the Central Highlands. July – August is the high season due to the holiday season around the world, but this is a hot and humid period in Vietnam. Central Vietnam will be incredibly hot and dry, but the monsoon in the south will have started by July. Since there is rain in the northern, this is not a good time for those who want to go trekking. 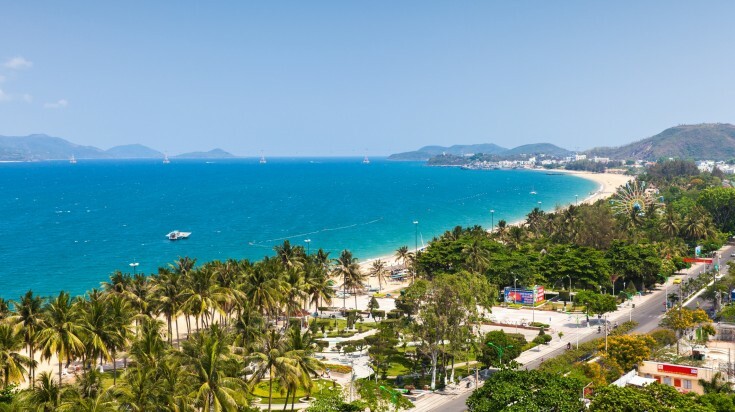 Highlights: Head to the beautiful beaches at Hoi An, Danang, NhaTrang, etc. because there is plenty of sunshine during this period. It is best to avoid the southern part of the country as well. You can also take part in the Tet Trung Nguyen, or the Feast of the Wandering Souls, a unique Vietnamese festival that honours animals, birds, and also the homeless! Between September – November, the wet weather starts increasing towards the central regions. However, in the north, the weather starts drying up, especially around October. The southern portions of the country are also quite wet, making the weather in Vietnam incredibly wet and humid. This is the best time to visit Vietnam in the north, but if you’re willing to bear the occasional showers, you can visit the entire country without any problems. This is a low season, so you will be able to get amazing discounts around the country. Highlights: This is a great period for you to go trekking, especially in Sapa, and the north. This is also a wonderful time to head to the paddy fields in Mu Cang Chai, which look their beautiful best. There are a number of festivals awaiting you during this season as well – from the Mid Autumn Festival (between September – October), where you can enjoy lion dance processions, to the Vietnam National Day in September.